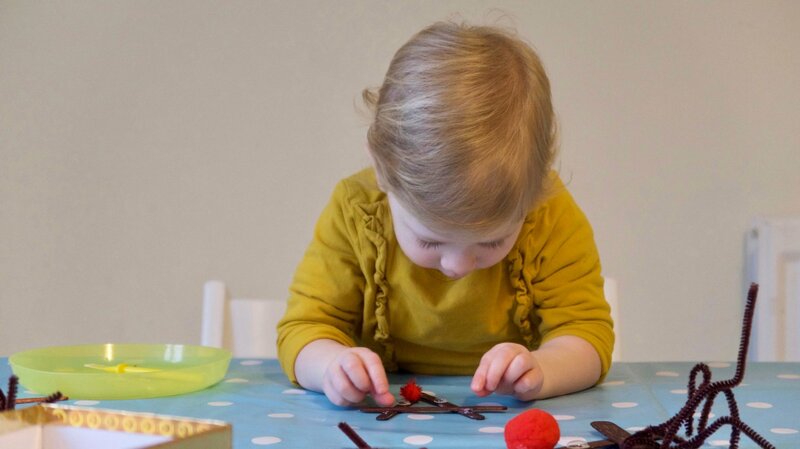 Welcome back to Pondering Playtime, my fortnightly series where I share a favourite picture book and a craft or play activity to go with it. 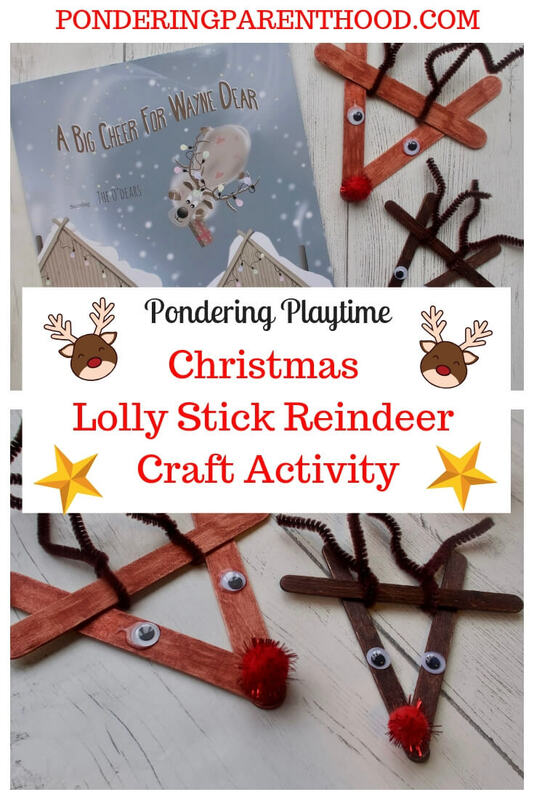 This week, I’ve chosen a brand new book, A Big Cheer for Wayne Dear by Richard Morrell, and we’ve made some cute little lolly stick reindeer Christmas decorations to go with it. A Big Cheer For Wayne Dear – What’s the Story? 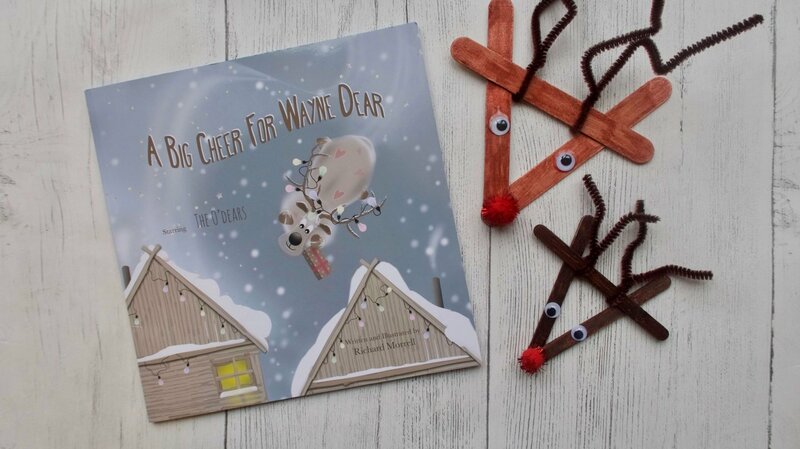 A Big Cheer for Wayne Dear is about a rather unfortunate reindeer, Wayne, who has trouble passing his flying test. But the other reindeers leave to deliver all of the Christmas presents and one is forgotten, Wayne comes to the rescue. 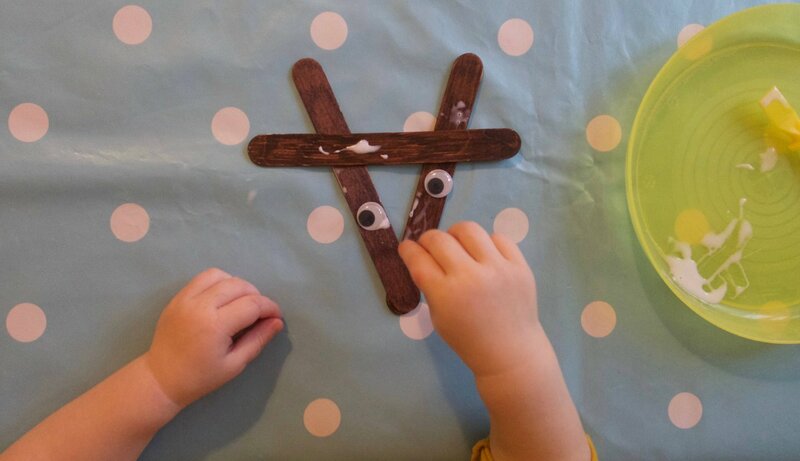 This was a really simple – but lovely – activity to do with M. I prepared the lolly sticks the night before by colouring them in brown. You could choose to paint them, but I used felt tips instead as I wanted less mess! 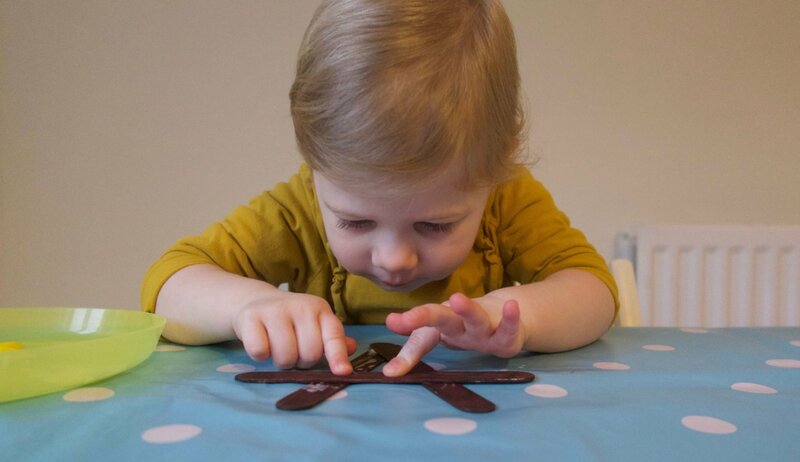 We started by taking three of our brown lolly sticks and stuck them together to form a triangle, as you can see M doing below. We then stuck on googly eyes and a red pom pom nose. 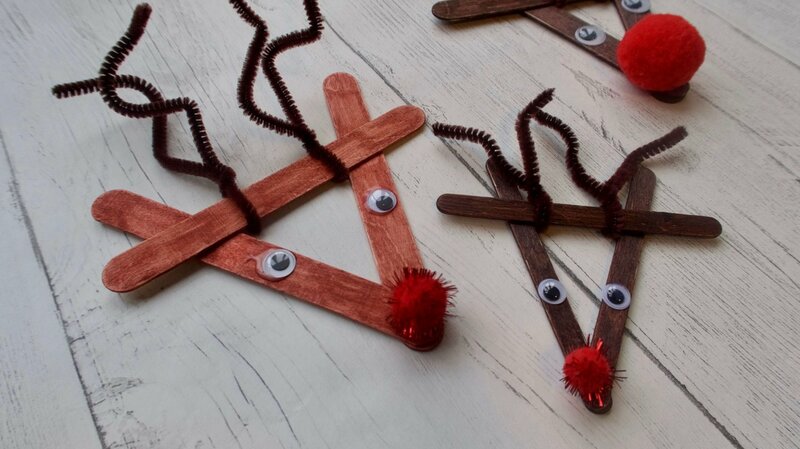 Once all of the glue had dried, we added some pipe cleaner antlers. Job done! 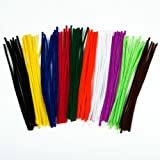 Once dry, you could add some jolly red ribbon to hang them on the Christmas tree. A Big Cheer for Wayne Dear is a charming book, with beautiful illustrations that M really enjoyed looking at. It does get a little bit cheesy in places and some of the words are a little advanced for M at two and a half, but the overall message was lovely. It’s a very sweet little festive book, written in rhyming couplets. As for the craft activity, M is in her element with a bit of glue. She enjoyed sticking the reindeer together, adding the eyes and nose independently. M needed a little bit of supervision and support to make the frame, especially as she was too impatient and kept moving the lolly sticks before they’d had a chance to stick properly! 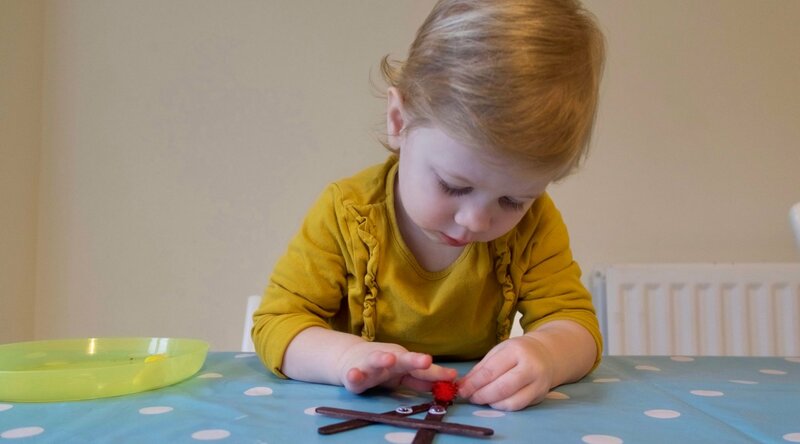 I was really impressed with how well she did by herself, though, which is great as she’s definitely becoming more determined to do things independently! All we need to do now is pop a bit of ribbon on them, and hang them on the Christmas Tree! Disclosure: We were sent a copy of A Big Cheer for Wayne Dear free of charge. However, all opinions are my own. "Decorating the Christmas Tree with The Christmas Forest"